During the Tana Delta clashes of August 2012 to January 2013, schools in the interior ( outside the region where the foundation currently works in ) was vandalized. Some were severely damaged and had to be abandoned, including Buyani Secondary School. 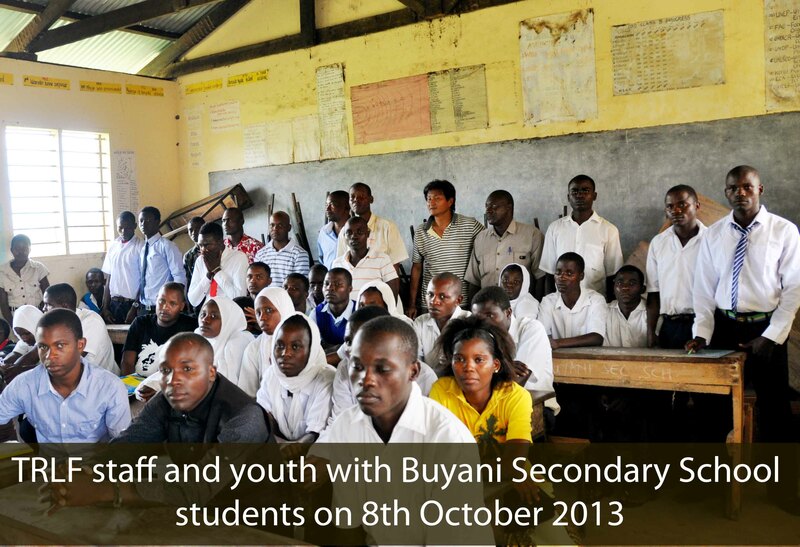 Buyani Secondary School was forced to close due to the damage and is currently operating in a temporary location. In the last few months, Gabriel and Tana River Life Foundation have been involved in the peace talks to mediate between the tribes. Part of the effort would involve the foundation expanding its footprint into the interior where the clashes occurred. They visited schools in the area to understand the conditions they are operating in as well as their needs. The headgirl of Buyani Secondary School read out a letter appealing for help. Watch an excerpt of her speech. Here’s a transcript of the full speech. As part of the aid to Buyani Secondary School, the foundation will start running a mobile library that will visit Buyani and another secondary school from 1Q2014.